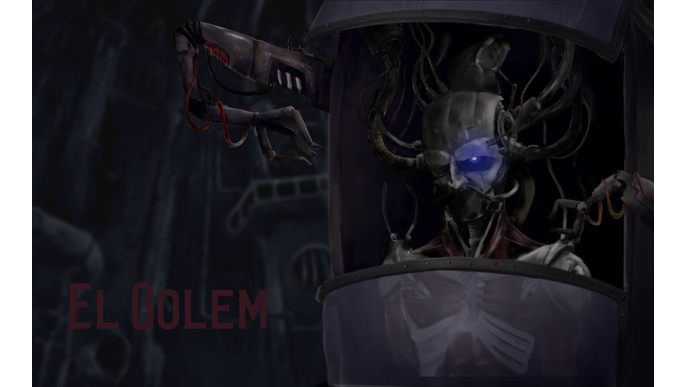 Golem is an animated project born of a fascination for ancient myths. 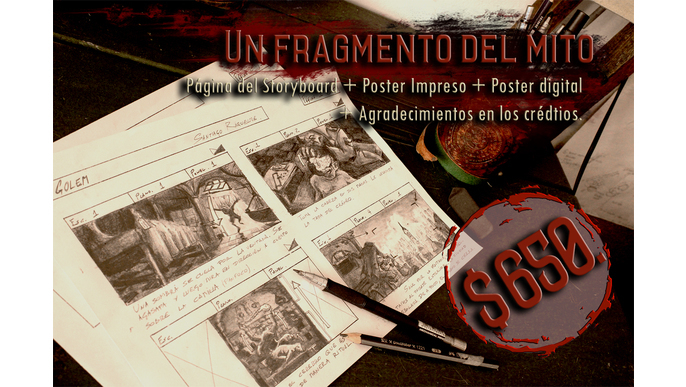 345 backers funded this project with $ 690 USD ! 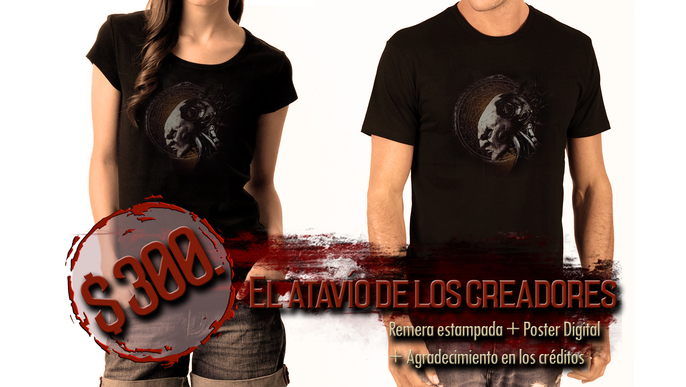 Muchas gracias personalizadas Apareces en los créditos como colaborador de la gran Obra. Además de un saludo especial en la web. 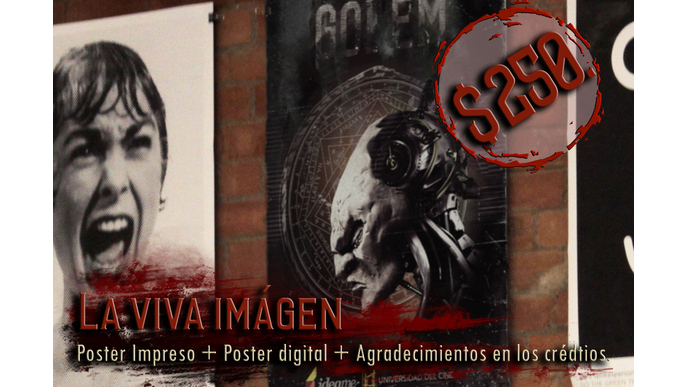 Gracias + poster digital. 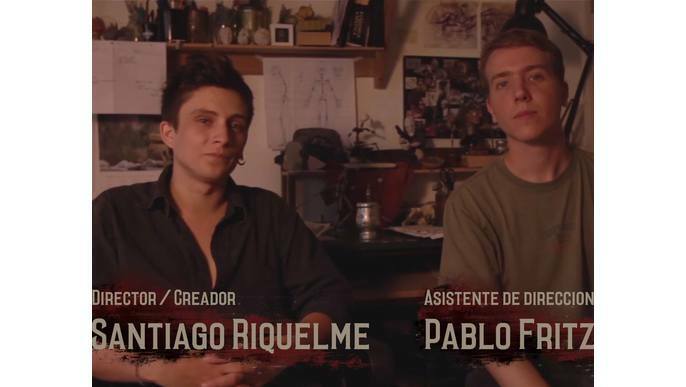 Apareces en los créditos. Saludo en la web. 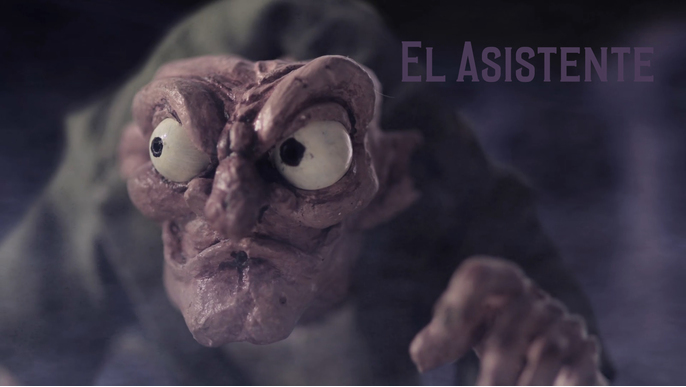 Además de un link para la descarga del poster digital del cortometraje. 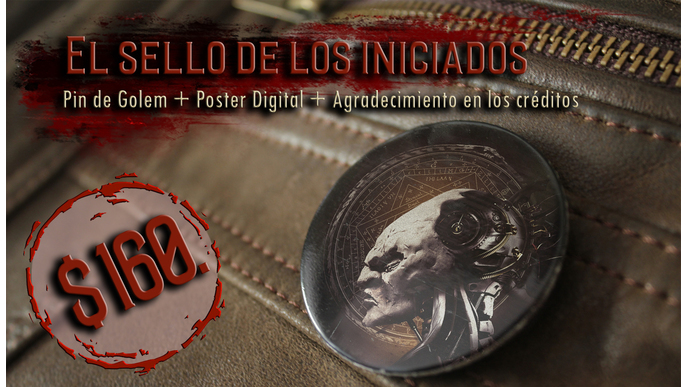 Pin + gracias + poster digital. 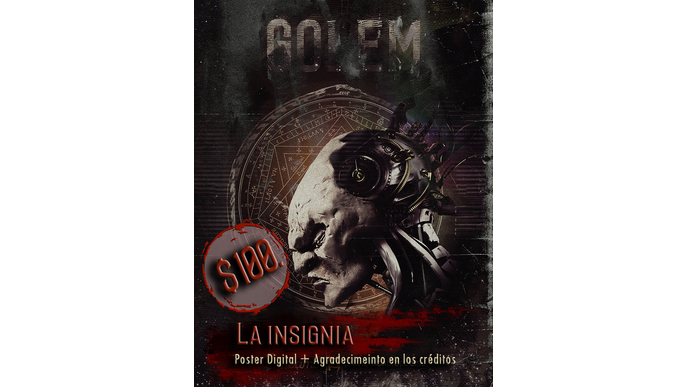 Agradecimientos en la web, poster digital y el pin de Golem para llevarlo como insignia a donde vayas. Poster impreso en A3 firmado y dedicado + gracias + poster digital Un poster impreso en papel A3 250 gramos firmado y dedicado por el director además de su versión en digital. 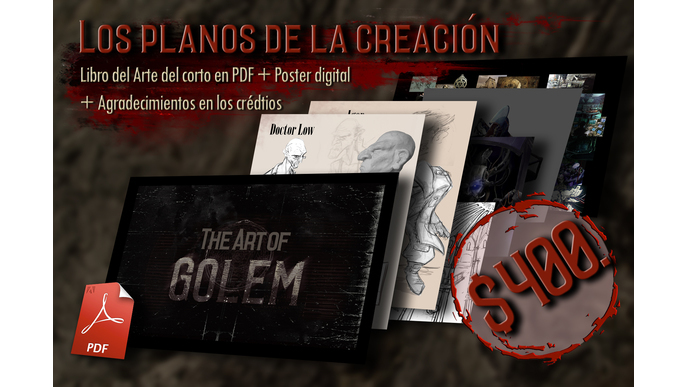 Gracias +poster digital + libro de arte del corto en pdf. Biblia de arte que incluye los bocetos de búsqueda, concepts de los escenarios y de los personajes, blueprintis de los esqueletos, parte del storyboard, asi como reflexiones del equipo respecto al proceso creativo. Gracias + poster digital + poster impreso + página del storyboard. Una página original del storyboard dibujada, dedicada y firmada por el director. 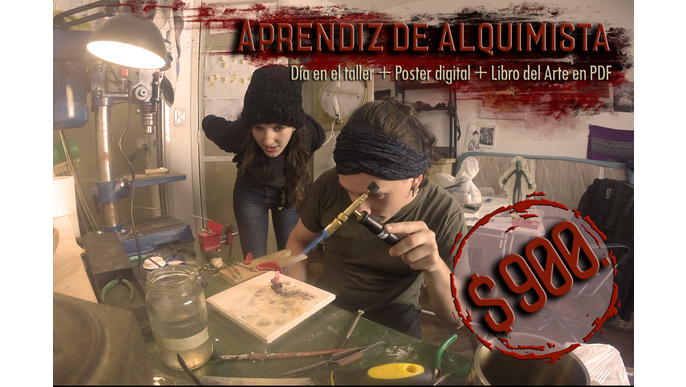 Día en el taller + poster digital + pdf biblia de arte. 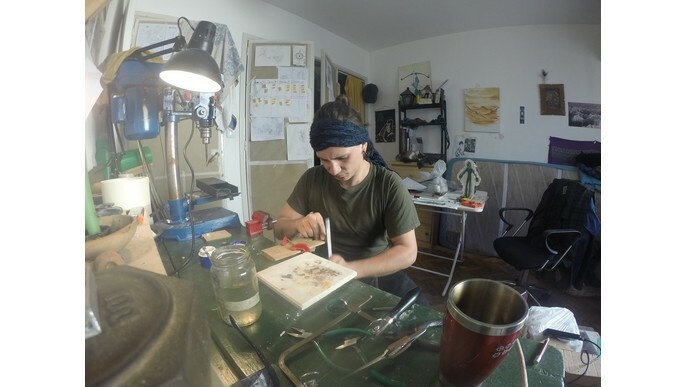 Un día en el taller junto con el equipo de realizadores y el director para que veas los procesos de realización y preguntes todo lo que siempre quisiste saber. Tu nombre como productor asociado. 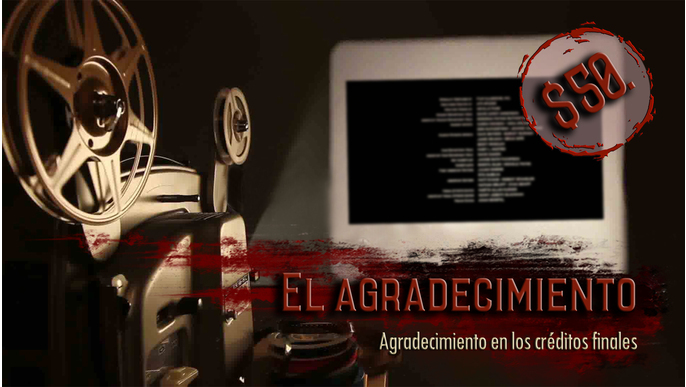 Tu nombre aparecerá en los créditos como “productor asociado” del corto. 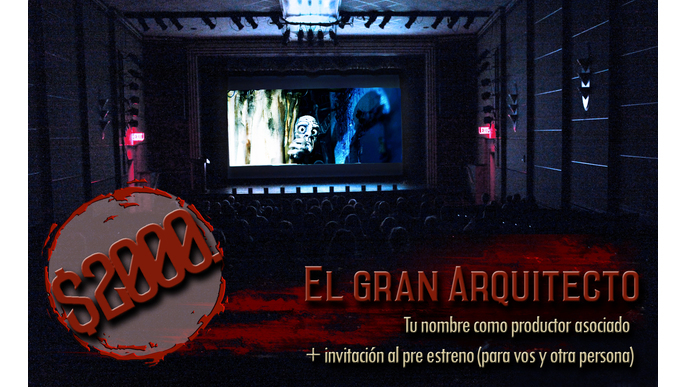 Esto te da derecho a una invitación para ti y otra persona al pre estreno junto al equipo de rodaje, una vez que el corto esté listo. From Prometheus through the legends of the Hebrew Golem and to the modern Frankenstein, there is a tradition in storytelling: man’s search for divine power. 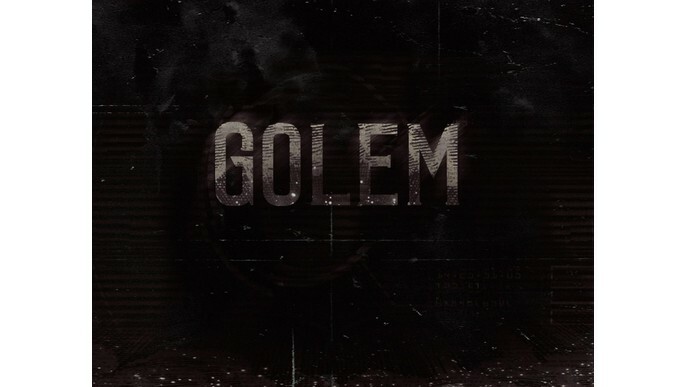 Saving elements from science-fiction and horror genres, Golem offers a new look at this classic myth. 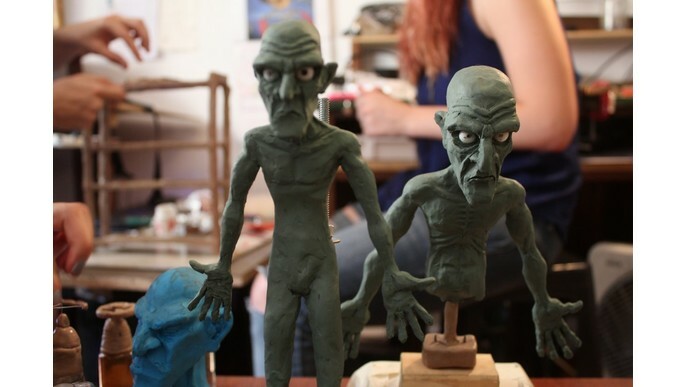 Working with the resources which stop motion puts forward, we want to produce a disturbing and twisted expressionist world. By manipulating matter, we want to pour out in the short film that deep, dark space, that blackness which speaks directly in our unconscious minds. 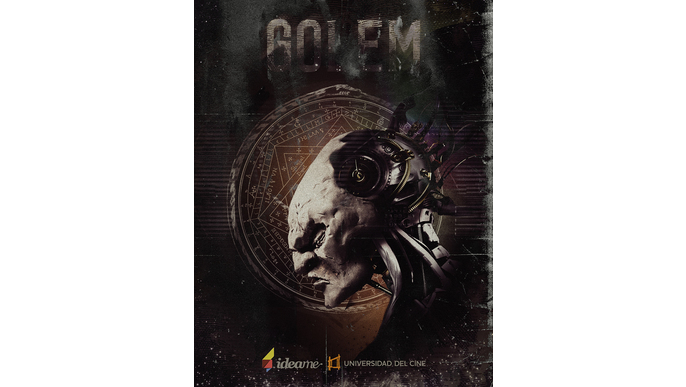 Golem promises a trip to the supernatural – a way in to a surreal, animated universe that is both exquisite and sinister. 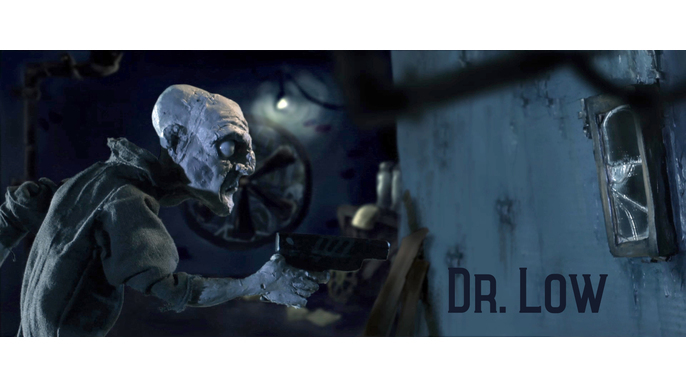 Doctor Löw, troubled by the mysteries of life and death, works tirelessly in the making of a being that is half-man, half-machine. 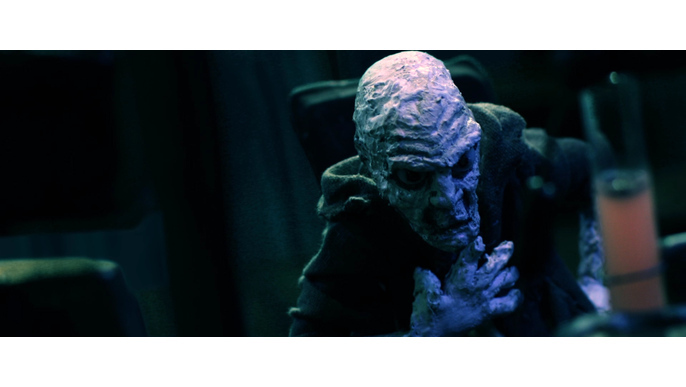 His assistant, versed in dark and ancient knowledge, is perhaps the one that keeps the secret which the doctor craves. Löw has been confined to the depths of his tower, trying to unravel the mysteries of life and the functioning of consciousness attached to a body in order to build a mechanical man. 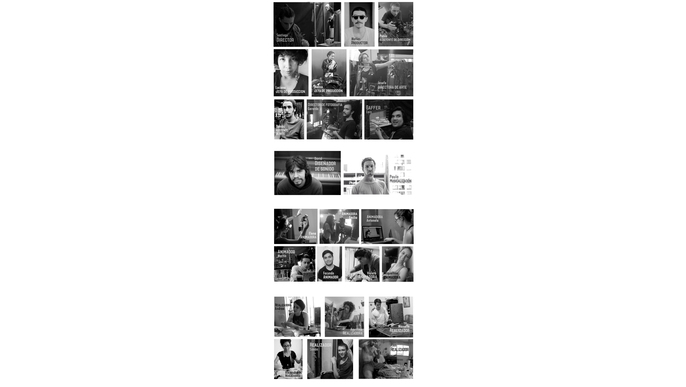 Obsessed with his industry, he will not tolerate error or repose; he has become a mechanical being himself, an automaton. The day Löw descended into the depths, he found a gloomy and disturbing little man living there. He adopted him and made him his servant and assistant. Simple and submissive though he may look, he knows more than what he says and is his own master. A fruit of Löw’s ambition, this creature was designed to be the next phase in human evolution and thus reach out for that which men could never possess – perfection. Only one element failed in doctor Löw’s technique, an ingredient was missing in the alchemy, for this being becomes unstable in the moment it comes to life. 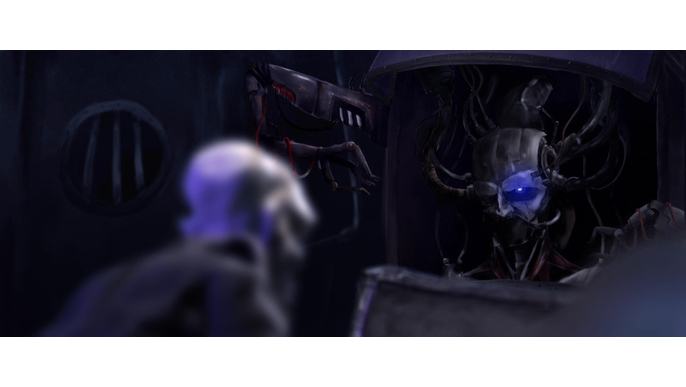 The story takes place in a not so distant future, set in the year 2025. It is a post-apocalyptic Buenos Aires, transformed by progress but tragically run down. A ghost city falling apart, from whose ruins and cracks an ancient world rises again, laden with ambiguous symbols. 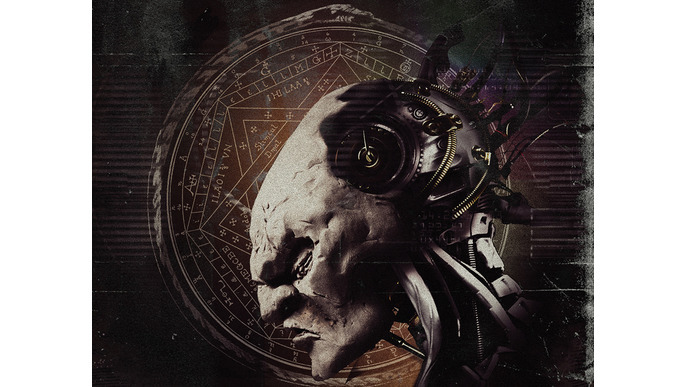 Golem constitutes a descent into the depths of our psyche to explore the symbols and archetypes that dwell in our unconscious minds. 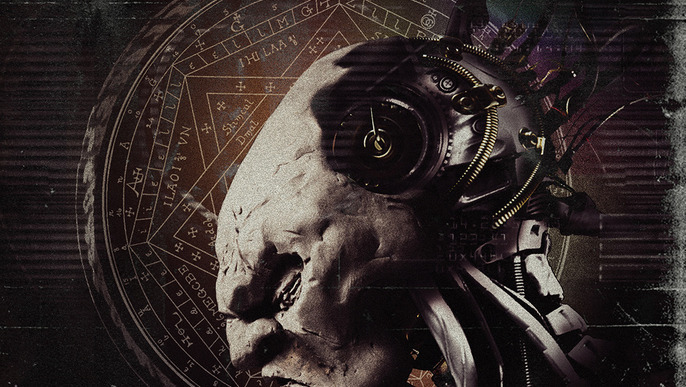 During the second half of 2014, Golem stopped being just an idea to become a well-shaped project. 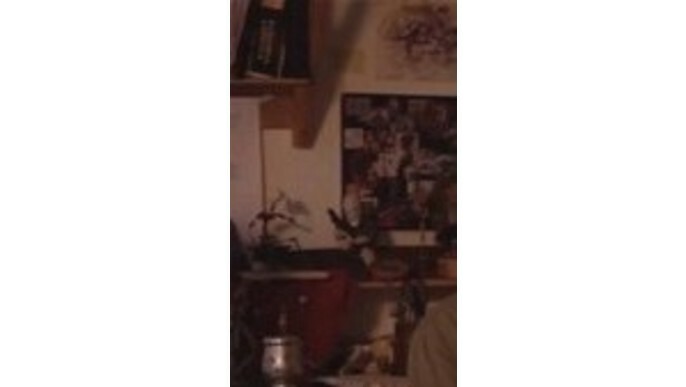 Contributions were obtained from different people and entities. A work team was assembled, the script and storyboard produced, an aesthetic proposal and character design decided upon. 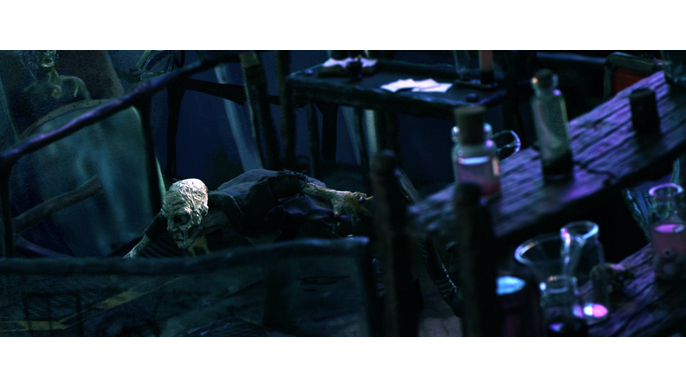 Set design, puppets and props were built. 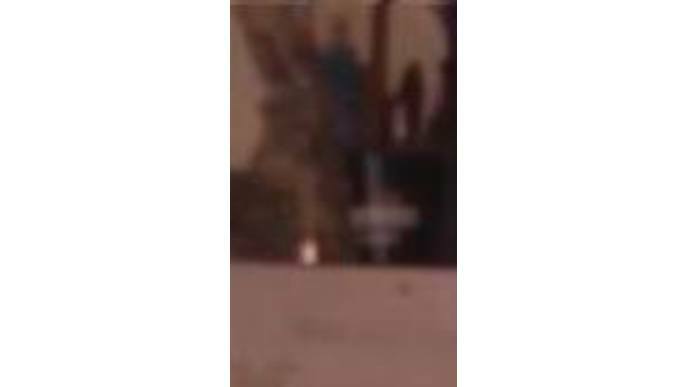 There was filming and animation. All this to be able to end the year with a teaser in our hands, a first animation test of what this project is and will be. 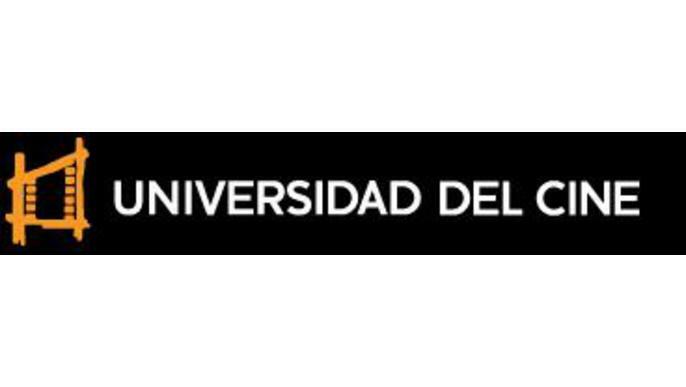 The short film already has the support of Universidad del Cine, an institution which as far as infrastructure is concerned will provide us with what we need: a place to use as a workshop, the set, and the lighting kit. What do we need? What for? Presently, we find ourselves at the pre-production stage. In order to actualize this stage, we need financial backing to afford supplies to build puppets and mockups. Additionally, we need to cater for all our minions and to secure the photography equipment and gear. We are a group of enthusiastic youngsters, graduates and students of careers in Film Studies, Animation and in different areas of the Arts and Audiovisual-making. We have a vision and a mission to accomplish, and the need to realize this project. We are a team of filmmakers eager to create.